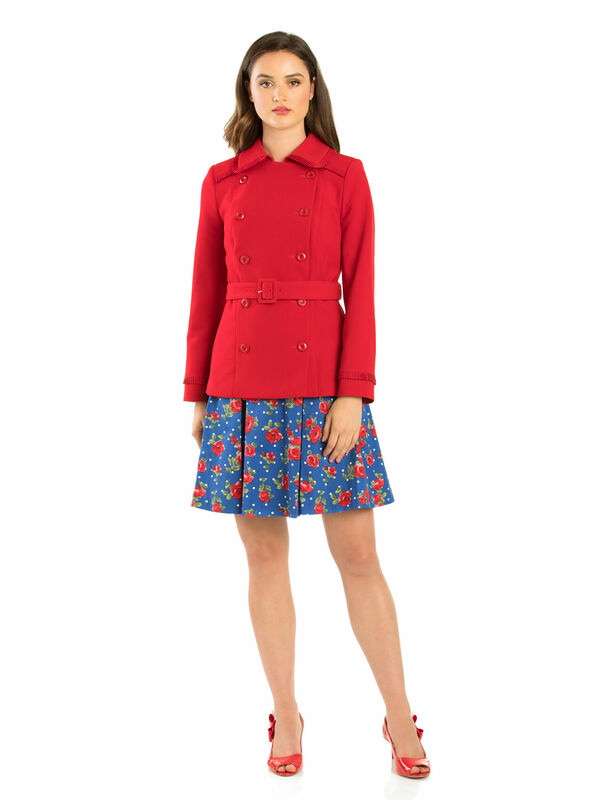 Cherie Amour Short Coat https://www.review-australia.com/global/cherie-amour-short-coat-red/RE19JK029.RERED001.html A heritage-inspired finish which will create a sophisticated look for any occasion, this Cherie Amour Coat is a smart-casual essential. 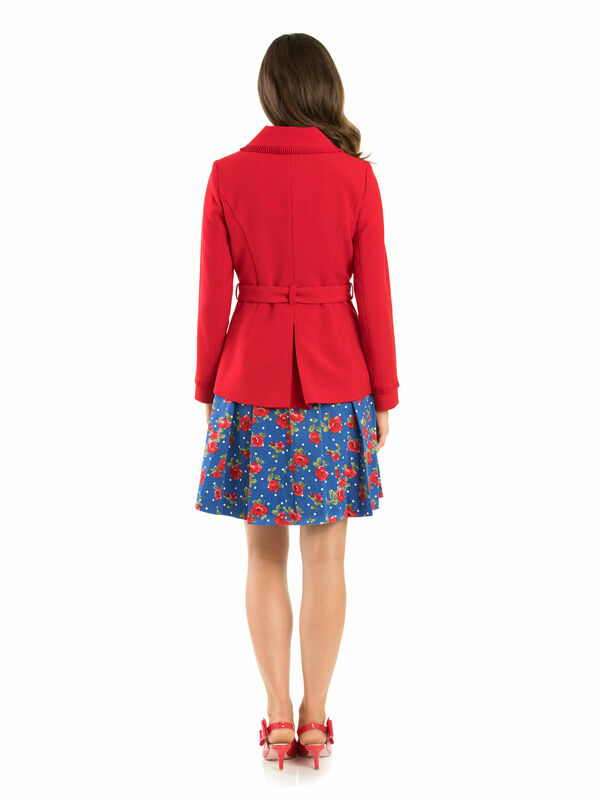 The jacket has a double-breasted front and belted waist for a cinched in silhouette. 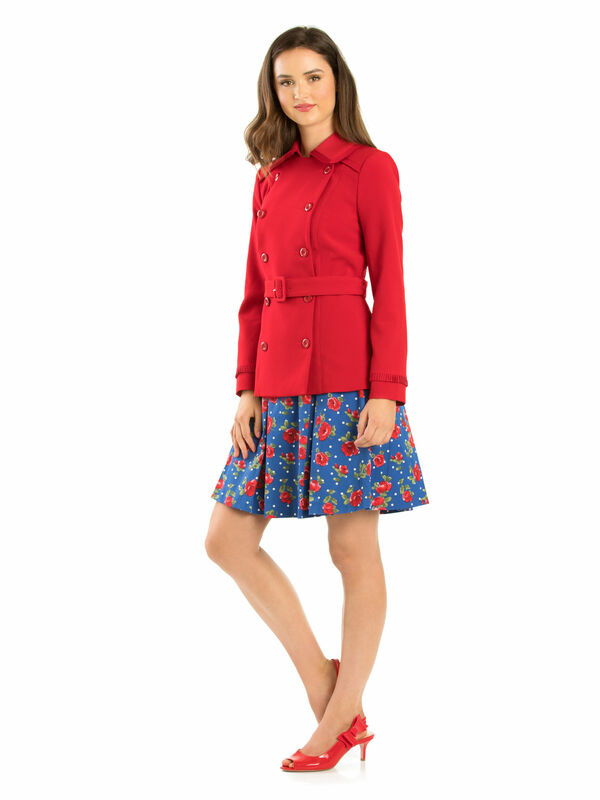 The collar, shoulders and cuffs all have a small pleated detailing and it is lined with a playful cherry print satin material for a fun finish.